Choose your league based on your location and follow the links below. The Century 21 Trojan Academy is our flagship recreation program boasting over 600 players and providing soccer opportunities for players of all ages and skill levels in and around the Center Grove area. The Warrior Academy is our satellite recreational league for players U4-U14 in and around Whiteland. The facility is located at Break O'Day Elementary in Whiteland. The Falcon Academy is our satellite recreational league for players U4-U18 in and around Perry Township. The facility is located at German Park in Indianapolis. 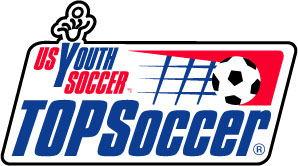 TOPSoccer is a 8 week program for players with physical and developmental challenges. It is free of charge and takes place on Saturday mornings at our main site in Bargersville. Adult Coed has two divisions (Competitive & Non-Competitve) and is for any adult 18 years or older. Games are played at our main site in Bargersville. Center Grove Soccer Club is located just south of Indianapolis, Indiana (U.S.A.). Founded in 1980, CGSC is the areas largest privately owned and managed youth soccer club. CGSC provides recreational and competitive travel soccer opportunties for children ages 3 to 19. We have an indoor facility for year round training opportunities along with well maintained grass fields for the fall and spring months. All travel teams utilize the facility during the winter as well as having programs for recreational and specific development training.